Due to travel difficulties during the storm, this program has been canceled. If you are able to make it to the Friday, March 23rd session in Malden, please register here. 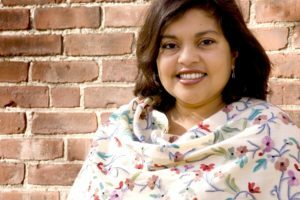 Award-winning author and educator, Mitali Perkins, will be presenting this two-hour workshop on cultural competence and libraries. In her presentations and workshops, she regularly discusses the need for story and why literature is a entry point for conversations about race and culture for children and teens. In this workshop for youth services librarians of all types, she will explore the role librarians have in shaping those conversations - how as gatekeepers of collections, libraries are in key positions to direct the narrative in their communities and why, therefore, librarians need a foundation of cultural competence. This workshop is the first part of a two-part series on Building Inclusive Collections. Please consider registering for the afternoon session, "Building Inclusive Collections: How to Create a More Diverse Library Collection”. Mitali Perkins (mitaliperkins.com) has written ten novels for young readers, including You Bring the Distant Near (nominated for the National Book Award, Walter Award honor book), Rickshaw Girl (chosen by the New York Public Library as one of the top 100 books for children in the past 100 years), Bamboo People (an American Library Association's Top Ten Novels for Young Adults), and Tiger Boy (winner of the Charlotte Huck Honor Award and the South Asia Book Award.) 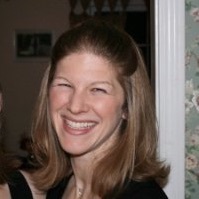 She has been honored as a "Most Engaging Author" by independent booksellers across the country and selected as a "Literary Light for Children" by the Associates of the Boston Public Library. Mitali was born in Kolkata, India before immigrating to the United States. She has lived in Bangladesh, India, England, Thailand, Mexico, Cameroon, and Ghana, studied at Stanford and U.C. Berkeley, and currently resides in the San Francisco Bay Area. This workshop supports the MLS Strategic Plan’s themes of Social Justice and Building a Strong MA Library Community.